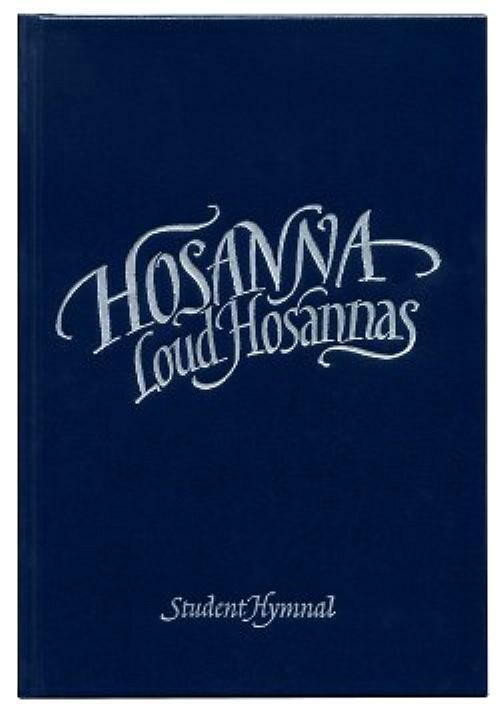 Hosanna, Loud Hosanna is a hymnal, it is a textbook, and it is a devotional book. .... 115 essential hymns that every child should sing. Each hymn melody and text has on the opposite page biographical information of the author of the text and the composer of the tune. In addition there are suggestions of what you should consider as you sing this hymn. These devotional thoughts bring great meaning to these wonderful, timeless texts. .... Beautiful calligraphy by artist, Timothy Botts, gracefully divides the hymns under three broad sections of the Church Year, the Attributes of God, and Our Response. 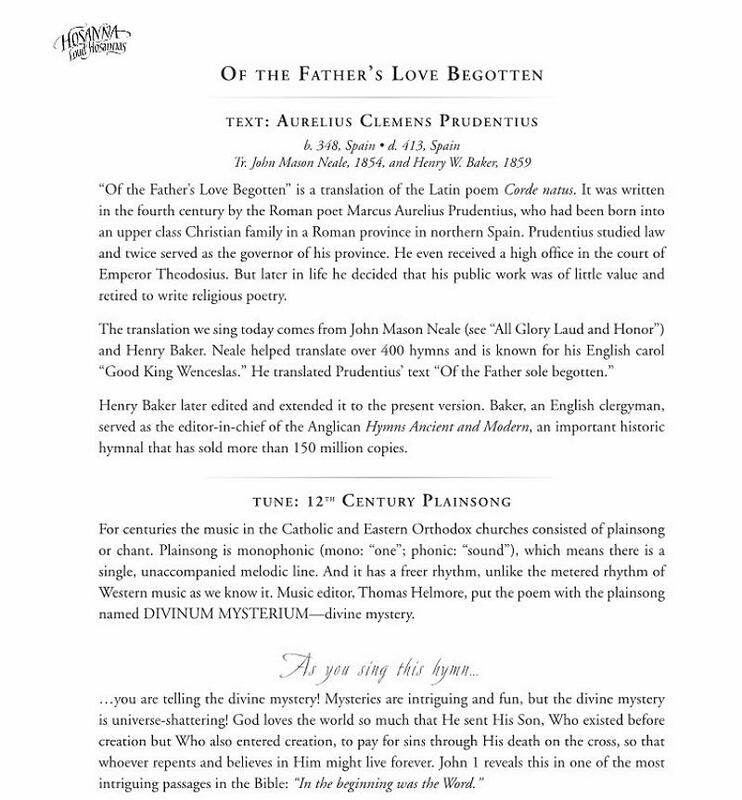 .... Keith and Kristin Getty wrote: "We are so excited about the publication of this hymnbook for children. Our prayer is that our children will be singing theologically-rich hymns such as the ones found here long after we are gone and will continue to pass them on from generation to generation."